PC owners are spoilt for choice when it comes to first-person shooters. While they might not be everyone’s favorites, the Metro games—Metro 2033 and Metro: Last Light, along with their Redux versions—hold a place in many gamers' hearts. Fans were excited to see a trailer for the next entry in the series at last year’s E3. 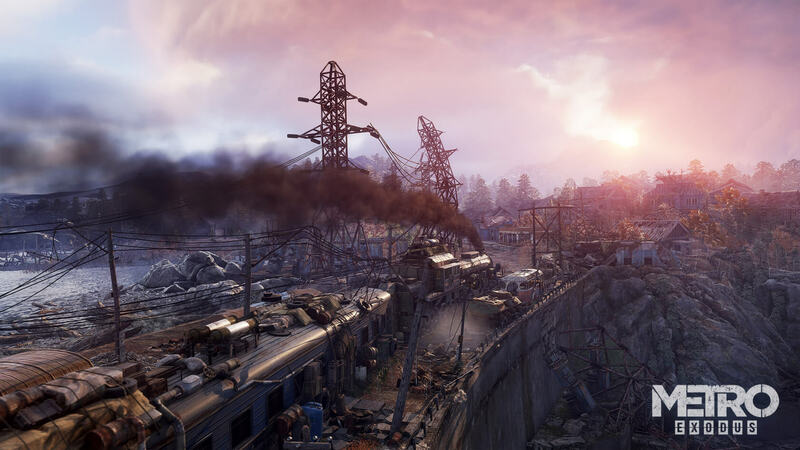 Now, we know a little more about Metro: Exodus, thanks to Game Informer. It had already been confirmed that Exodus isn't an open world experience like the later Fallout games, but it does feature several large sandbox levels connected by linear story missions. They even contain side quests, but once a player leaves an area, they can’t return to it. Those who enjoyed Metro’s ammo economy, which made you choose between using powerful, military-grade bullets or saving them to buy items, might be disappointed to learn that this system has been scrapped as the action moves out of the metro underground. In its place is an RPG-style scavenging and crafting system that lets you turn junk into chemicals and materials, which can then be crafted into valuable items, including more ammo. Combat has also been improved in line with the larger, more open levels, and players will no longer travel to new hub stations; instead, a train called The Aurora, which features in the E3 trailer, will act as the game's hub. It will constantly change as new and different types of cars, and new people, are added. It was also revealed that players will be able to control vehicles in the game, and weapon upgrades are now more flexible. And instead of being set over the course of a few days, as was the case in the other Metro titles, protagonist Artyom’s journey in Exodus takes place over a year. While they did contain outdoor sections, the original games were famous for their claustrophobic tunnels and oppressive atmosphere. It’ll be interesting to see whether leaving the Moscow metro behind pays off for developer 4A. Metro Exodus is due out later this year.